"Your mind knows it before your body does." Handwriting analysis is also known as Graphology. By studying your handwriting, I am able to identify your true nature & medical condition. Many of these conditions have not yet appeared in your body or outer self. However your mind can already see this and I can see it reflected in your handwriting. Nearly 98% of medical health problems are through our mind, be it depression or anything. Handwriting analysis helps identifying those ailments as well as gives you a way out to treat yourself. Your handwriting can also reveal the reason due to which you are going through any kind of psychological issues. Be it hysteria, or schizophrenia, we have solutions for each and everyone. In its simplest form, we help forming a best compatibility match for the bride and the groom. If any couple is facing any kind of adjustment issues or going through divorce,, then handwriting analysis and its therapy can help them to keep the relation going. You come personally to my office and give your handwritten sample in front of me. I analyse this sample as per graphology rules. Q. Can a child’s problem also be diagnosed through parents’ handwriting? A. No. A child’s problem can only be diagnosed through his handwriting only. Q. Can I know about my future through my handwriting? A. No. It only reveals your current state of mind. 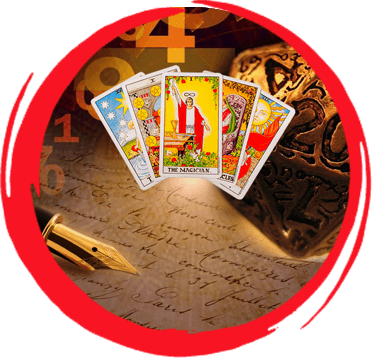 For future, you need to go for numerology and/or tarot card reading. Q. You will diagnose my problems through my handwriting and I am satisfied with it. But what after that to overcome through these problems? Q. I don’t know English. Can I write in my mother language? A. English alphabets are always preferred for complete and accurate diagnosis. You don’t need to use English language, instead you can use hindi language and write the same in English. e.g: Aaj tum kaha ja rahe ho? Main to ghar par hi rahoongi. Q. I/ My family member don’t know writing or cant write properly. What should I do? A. For such person, Color & Drawing Analysis is preferred. It will give same result as Handwriting Analysis give.